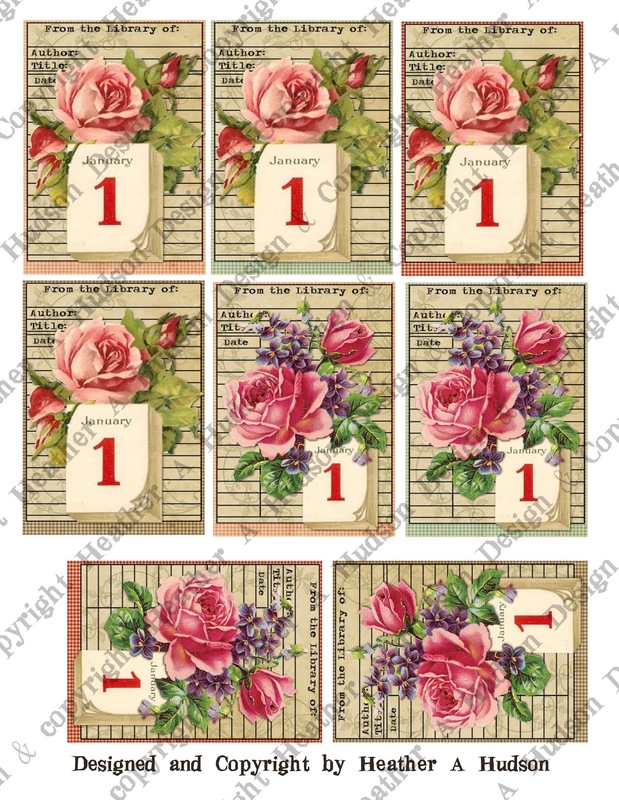 Hope you are keeping warm, it is cold in Michigan!! 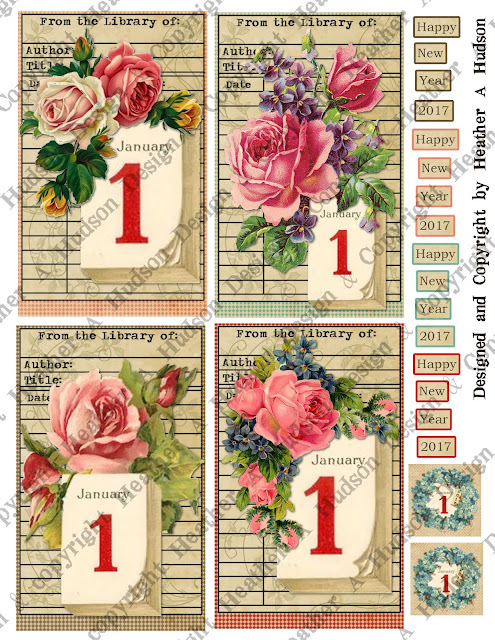 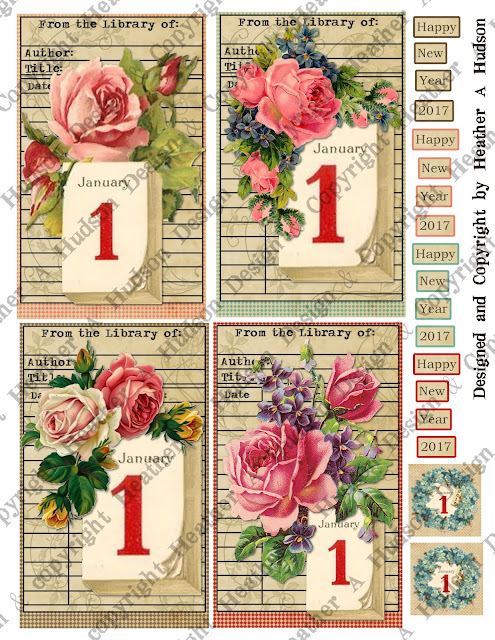 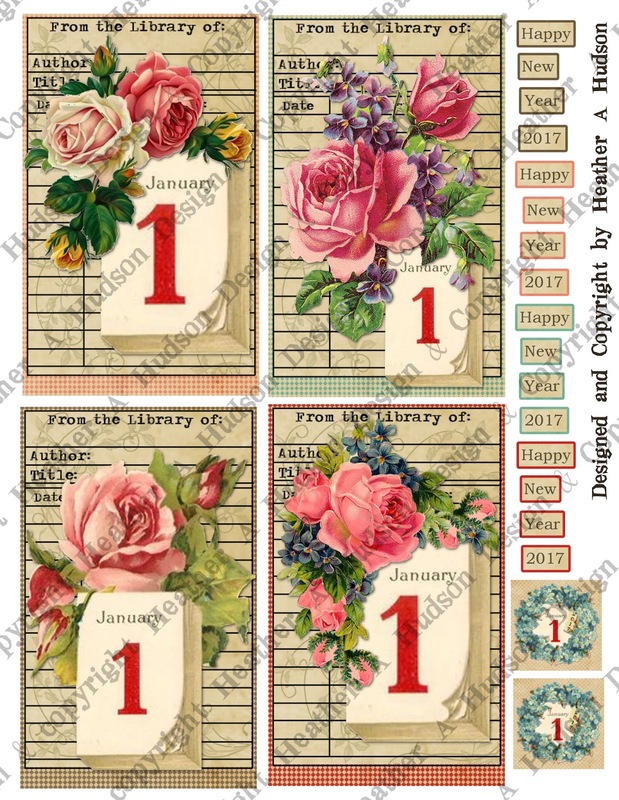 Vintage Inspired New Year's Digital Collage Sheet sets I would like to share. 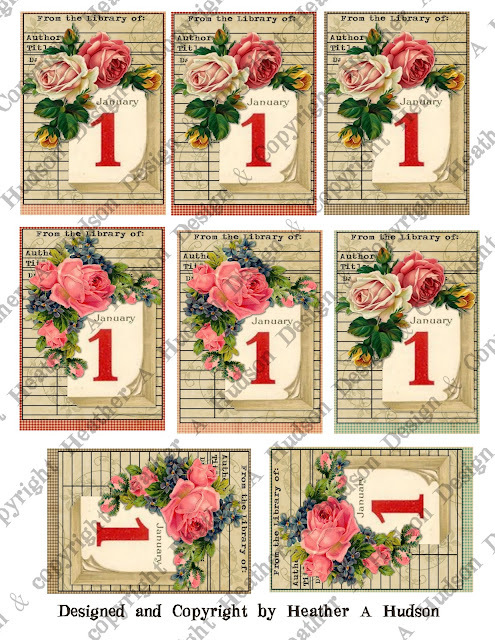 I decided to create them in a smaller ATC size set as well. 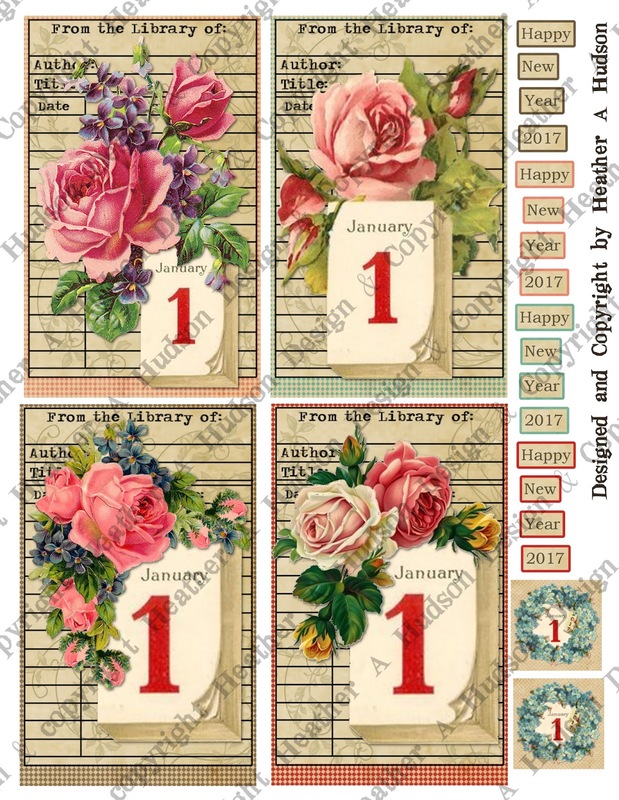 Vintage Floral New Year's Catalog Card ATCs. 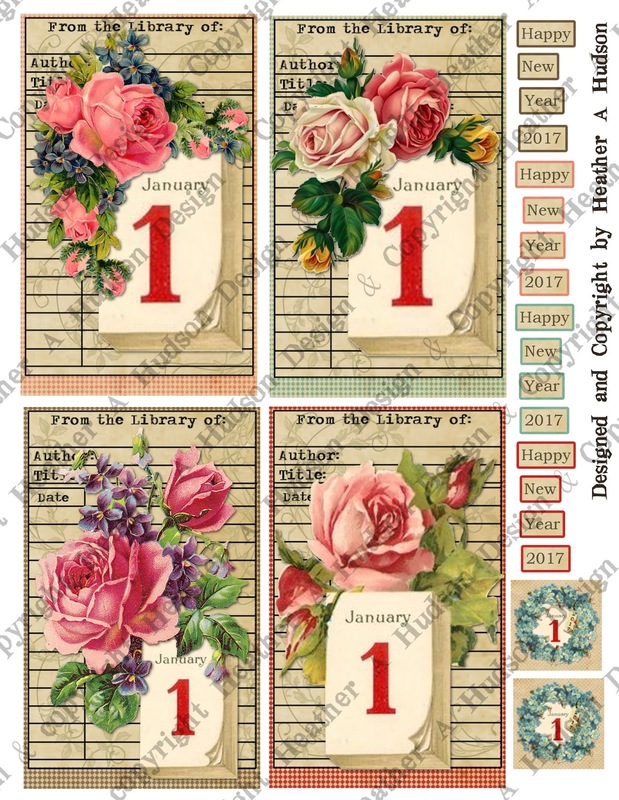 If you missed yesterday's Post, you may want to check it out because I have some New Year's Bingo Cards and Other Card Catalog sheets as well.